All together now to increase FairCoin stability and to help FairCoop produce wealth for the common good. 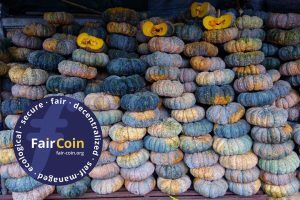 FairCoin, the social and fair cryptocurrency adopted by FairCoop to help us build a global cooperative ecosystem, is, as of the publication date of this article, already four years old, and during this time we have seen very significant developments, with participation from many different areas. 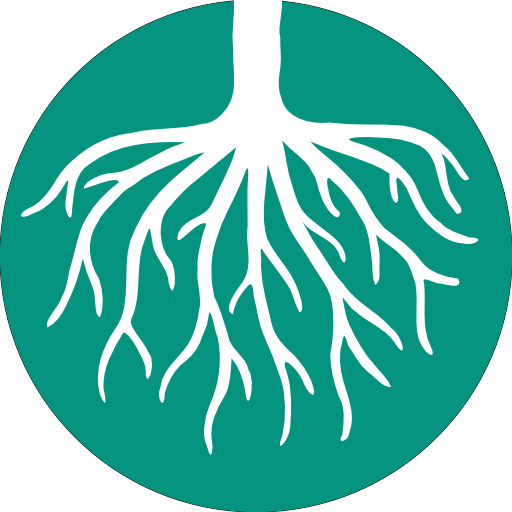 Today, the ecosystem consists of around 50 local nodes in nearly all the continents of the world, 25 FairCoin Points of exchange (POE), hundreds of producers, freelance workers, and merchants accepting FairCoin, plus cooperative initiatives like Freedom Coop and the Bank of the Commons. All of it serves to enrich the possibilities that FairCoin is bringing to the FairCoop core vision. The steady growth of the value of FairCoin from its origins until today has provided the means for us to fund a great deal of work – thus allowing us – since the last FairCoop Summer Camp where we developed the Open Coop Work methodology – to pay for this ecosystem to be built. The stable official price, decided at most once a month by the FairCoop assembly, facilitates the participants to engage in creating circular economy networks with their contacts, guaranteeing that the participants avoid any risks due to price volatility, as is the case with other cryptocurrencies. Being a decentralized currency, the decision to adopt an official price gives us the advantage of being resilent to attacks from centralised power structures, and ensures transparent accounting. This is, however, a choice that comes at the price of some measure of risk, especially pressure from the money markets. In times of bear market trends on cryptocurrency markets, the FairCoin price on private marketplaces can be affected, and cause a downturn in the market price for some time, even while the real-world use of FairCoin is continuing in its steady growth. For this reason at some times there can be a significant price difference between the official price of FairCoin and its market price. While FairCoop is able to guarantee exchanges at the official price to merchants and those who, based on the criteria of the assembly, are deemed to deserve them, this price discrepancy reduces the number of people who are buying FairCoin from FairCoop from our official source at getfaircoin.net at the official price, and so reduces liquidity within the FairCoop ecosystem; a situation that potentially could put its steady development at risk. To make the ecosystem more resilent in these circumstances, the collaborative actions of people who have both the desire and the capacity to invest in FairCoin are needed; and at the same time this gives them the opportunity to buy at a market price that is somewhat lower than the official price. As there are many people that for different reasons cannot access exchange markets, the FairCoop assembly has decided to launch this permanent crowdfunding campaign in order to create and operate a “FairCoin Stability Fund”, which from now on will have the role of adding liquidity to the market in order to buy FairCoin when the market price is low enough. To support the resilence of the FairCoin ecosystem via the creation of a more stable FairCoin market price. This is a way towards achieving an increase in the market price when it is low. To take FairCoins out of the market by facilitating their distribution to people involved in or supporting the FairCoop ecosystem. To create a win-win situation by donating to the project of your choice, and still keeping your purchasing power in FairCoin (see the section about the ethical possibilities below). If the price of FairCoin in exchange markets is less than 30% of the official price, we will make investments in this markets weekly, based on the BTC funds we have at our disposal to invest. If the market price is greater than 30%, the fund will maintain a ‘buy wall’ at a lower price than that, and if there is a large amount, the rest would be kept in Euro or another currency decided by the assembly managing the crowdfund. When we make orders, we will make them as a buy wall for an amount that usually will all go to the buy order book, except if there are sell offers at very low values that it makes sense to take advantage of. This way it will be easier to do the accounting distribution to all participants. If in one week, the buy wall has not been crushed, the following week we will add the new funds and put in a better offer, in a way that the fund also supports the growth of the value of FairCoin. There would be a weekly clearance period between the Euros being invested and the distribution of the FairCoin. This means the fund will receive FairCoins; these will be accounted proportionally to the people that currently have Euros in the fund. We have agreed on a mandatory three month waiting period for investors in this fund in order to put off speculators. At the moment of the initial purchase from the market they will be sent to a cold wallet with an address for each investor until the three months have elapsed, upon which time they will be sent to each investor’s individual FairCoin wallet. – As laid out above, the distribution of FairCoin to the personal address of participants will never be before 3 months have passed. If the market price of Faircoin is higher than 70% of the official price for the period, then the time will be extended, until a lower price occurs once again. – A fee would be charged in order to sustain the work of managing the service and any fees payable by us. This will be 5% including credit/debit card fees. To buy FairCoin at a market price which is lower than the official one gives those who buy it an advantage when considering the goods and services for sale from producers and merchants within the FairCoop ecosystem. Anyone is of course free to take advantage of this situation in accordance with their own decisions. However in order to avoid an ethical conflict for those that believe that it would be important not to make a profit out of this situation, here are some suggestions for what you can do with the extra FairCoins you buy in this way compared to the ones you would get at the official price. You can donate them to your nearest FairCoop Local Node. You can donate them to the tasks you believe most need backing within the Open Coop Work ecosystem. You can donate them to the Fair Funds. You can hold the FairCoins, wait until the price at $Exchange is above the official price, sell the FairCoins, buy the same amount of FairCoins from getfaircoin and keep the difference. Via Fairbill (this is the card payment processor that we used before for getfaircoin and which still is working in CoopFunding). Bank of the Commons (where it is possible to exchange Euro to Bitcoin. At the campaign launch we will also accept payments for the campaign via the ‘wallet to wallet’ method.